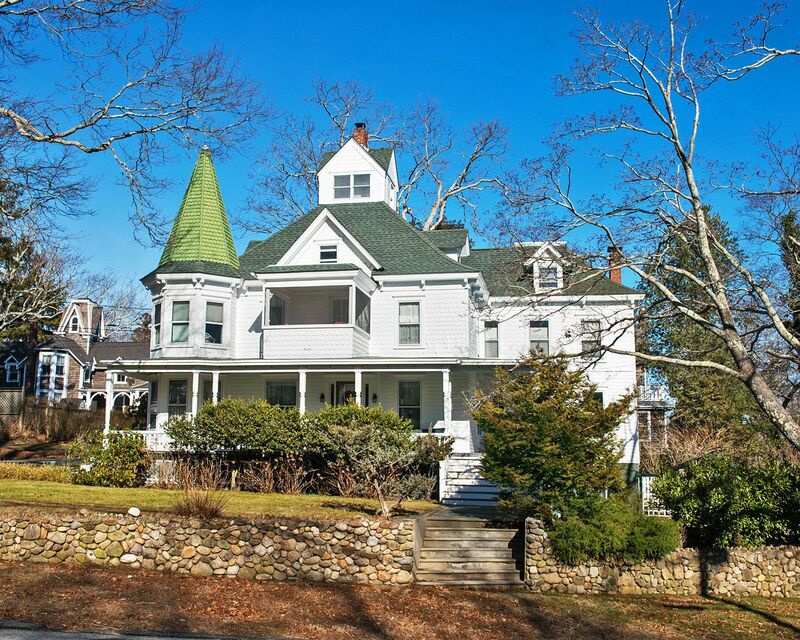 Authentic Queen Ann Victorian built in 1885 with water views. This well-preserved house with period woodworking offers 6 bedrooms and 3.5 baths. There is a formal entry with staircase, living room with working fireplace, den with built-in bookshelves, eat-in country kitchen, and back stairs leading up to the bedrooms. Stairs also lead to a dry basement, loads of storage areas and 2-car garage. The second and third floors are bedrooms and a screened in porch for quiet time. An additional stairway leads up to the Cupola with views of the heights and water. Close to Beach Club, Yacht Club, tennis, ferries, restaurants and the hub of the heights.